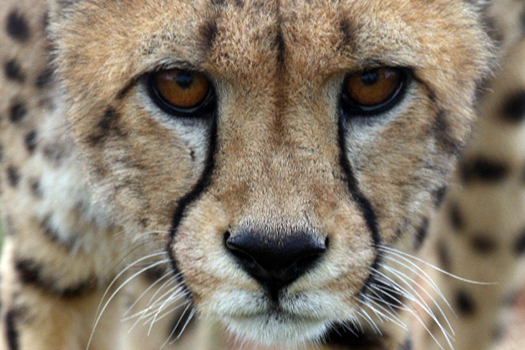 How often does one get an opportunity to help a cheetah start a new life back in the wild? While at CCF Laurie Marker asked if I wanted to help relocate “Chester.” And unite him with his 4 brothers. How could one say no to that? 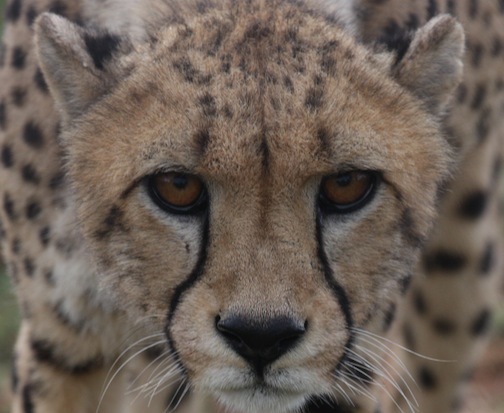 What CCF does is help cheetahs get ready to be re-introduced into the wild by first rehabilitating them and then setting them free in a fenced-in reserve where they can be tracked with their radio collars and observed to make sure they can fend for themselves in the wild. If they do well here then they will be relocated further into the wild either in Namibia or some other place in the world. Chester was one of 4 male orphans that bonded while in captivity. His 3 siblings “Omdillo”, Anakin and Obi-Wan were released in the wild reserve but Chester had to stay behind because of a foot injury. What an incredible sight as the box was opened and out Chester bounded. Meeting up with his brothers, Chester turned and disappeared into the bush. It was an emotional “family” moment I feel privileged to have witnessed. It drove the point home further of the amazing work that Laurie and the CCF folks do. Thanks CCF for letting me be a part of an beautiful experience.